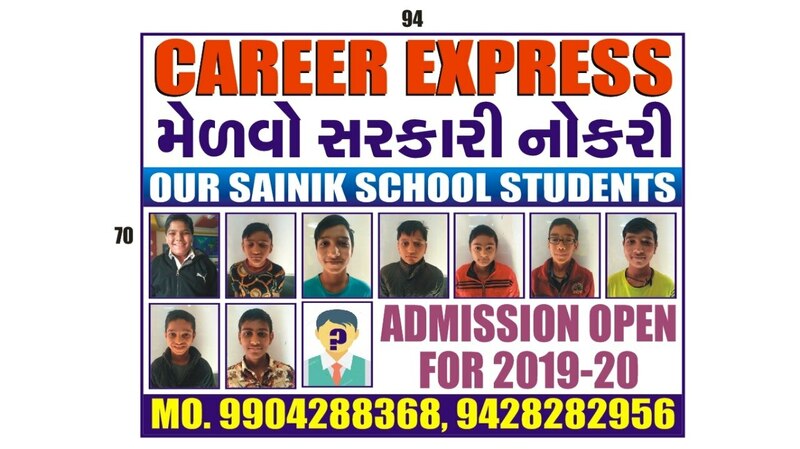 Huge Congratulations to all our students who have passed the Sainik school entrance exam.Students who wish to get admission in Sainik School, Military School, Rashtriya Indian Military College, Rashtriya Military School in class 6th and class 9th can take admission in Career Express Sainik School Coaching Academy in Ahmedabad Gujarat. As only limited seats are available in our hostel. Career Express Sainik School Coaching Academy provides the top class coaching and hostel facilities.The aim of Career Express Sainik School Coaching is to prepare students academically, physically and mentally for entry into National Defence Academy, Indian Naval Academy. Our classes is situated in a quiet and pleasant locality of Ahmedabad Gujarat.Contact us now for details of admission.